Home Unlabelled Fastjet touches down in Tanzania, prepares for first flight. Fastjet touches down in Tanzania, prepares for first flight. 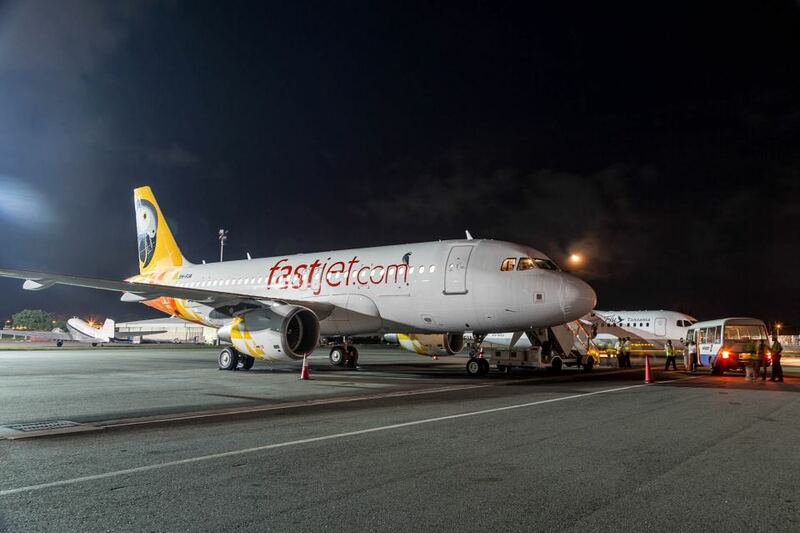 African no-frills carrier Fastjet first branded Airbus A319 has arrived at its base in Dar es Salaam in Tanzania. This is a step ahead of flight operations that takes off next week in Tanzania. The airline’s first flight is scheduled for Thursday, November 29. Fastjet A319 5H-FJA shortly after landing in Dar Es Salaam JNIA as flight FTZ1A. (fastjet). Two more Fastjet-branded A319s are also planned to land in Dar es Salaam next week.